Our frontman is 'going like a train'. It's a Dutch saying and it means: 'Our frontman is composing and composing, over and over. New tracks are dropping down, like the rain drops fall down in autumn. 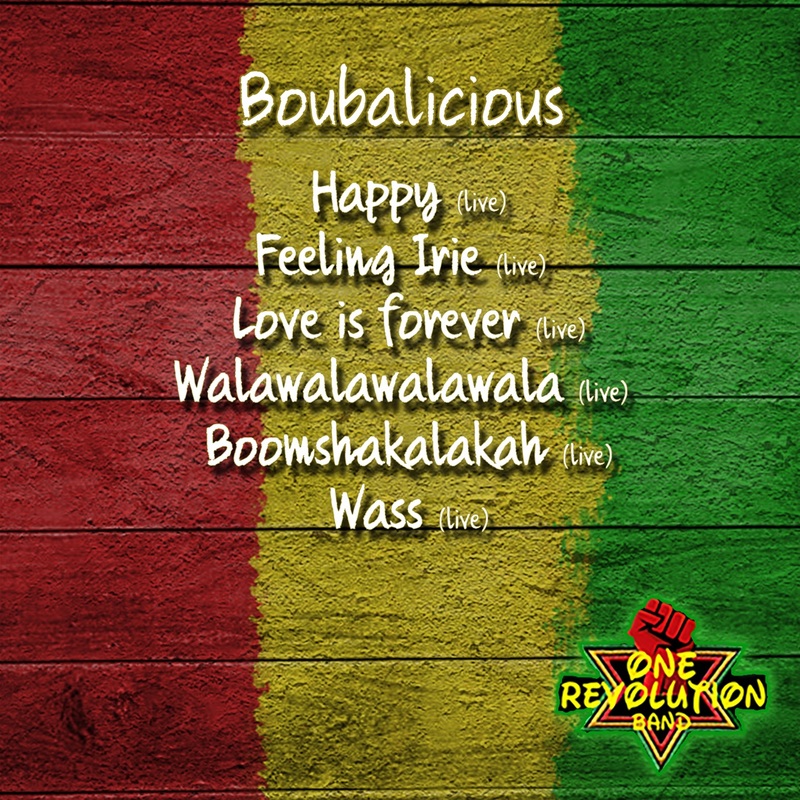 Who does not know Love is forever, Happy, One Revolution Movement, or Boomshakalaka? In 2017 the album: Calm down was released on Spotify and is for sale in our webshop. 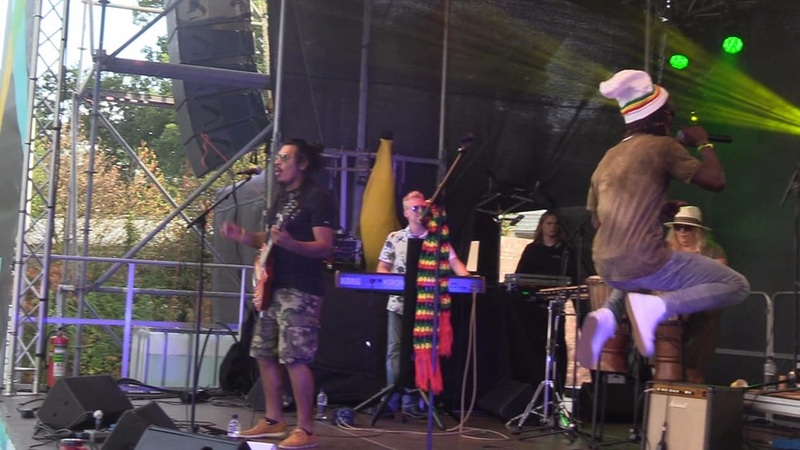 2018 was the year of 14 new tracks which were played right a way on stage: Humanity, Innocence, Marihuana, No more ware are some of the political roots reggae tracks. 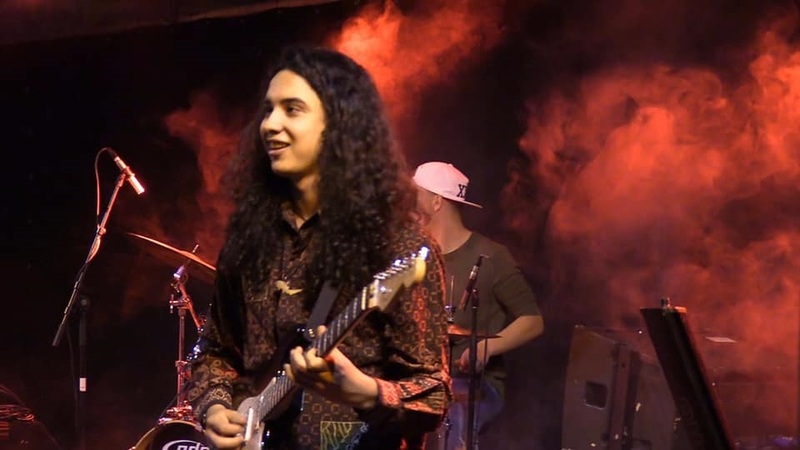 Beginning of 2019: the EP Boubalicious is available on Spotify and other channels: Feeling Irie, Walawalawala, Wass and Happy: al very danceable tracks which the audience loves so much. More to come in 2019, cause BRAND new tracks are waiting for Spotify and the summer stages. 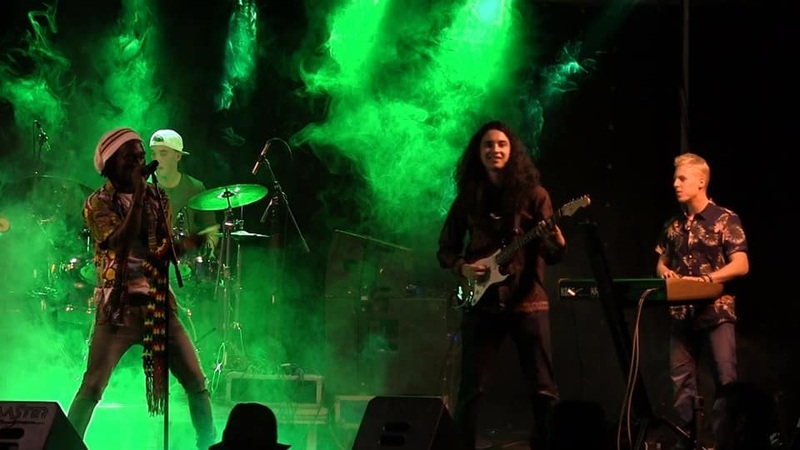 One Revolution Band plays it all on stage allready. 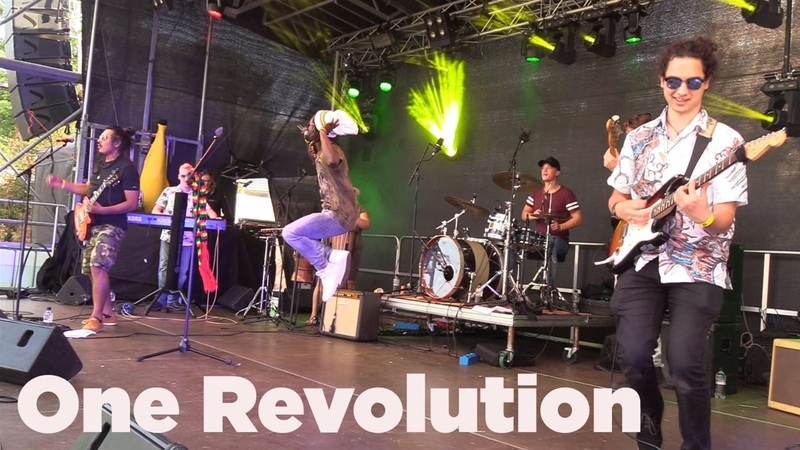 Terrassenfestival Almere, Foodfestival Eindhoven, Bogdike Veendam, Reggae Lounge festival, Wereldfestival Diemen, Uitmarkt Emmen, Remind the Gap, Factory Festival, Parkfestival Kerkrade are just a few festivals where One Revolution Band has played or is gonna play this year. Further, we performed and gonna perform in Belgium, U.K. and Germany as well. 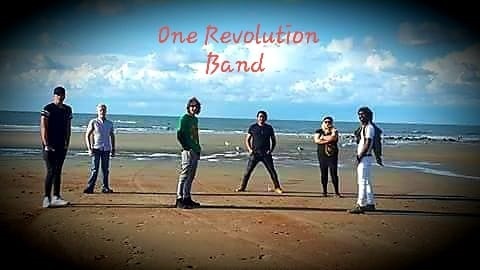 Check A FEW OF OUR PERFORMANCES: One Revolution Band on Youtube, or Reggae Live Concerts: One Revolution Band & One Revolution Band Live. For more info: read the biography below. 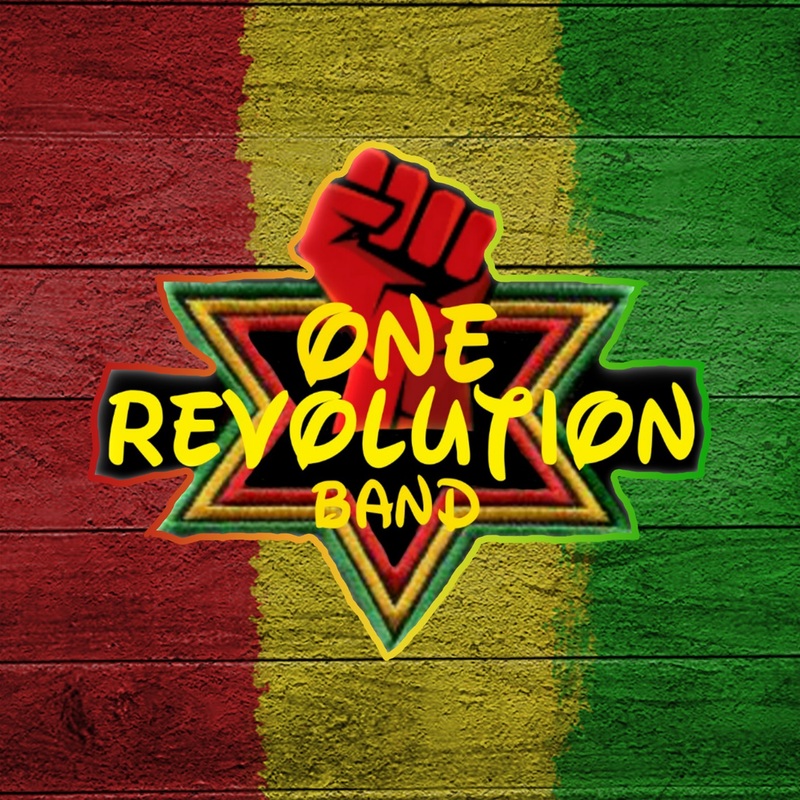 One Revolution Band is one of the most promising a reggae & dancehall band with tropical vibes. 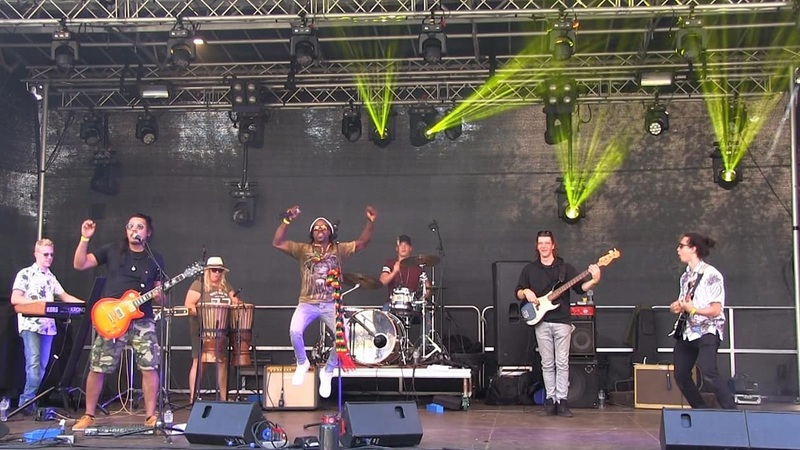 Frontman Aboubacar Soumah, from Guinee and living in Holland, is an energetic singer who makes the audience move. 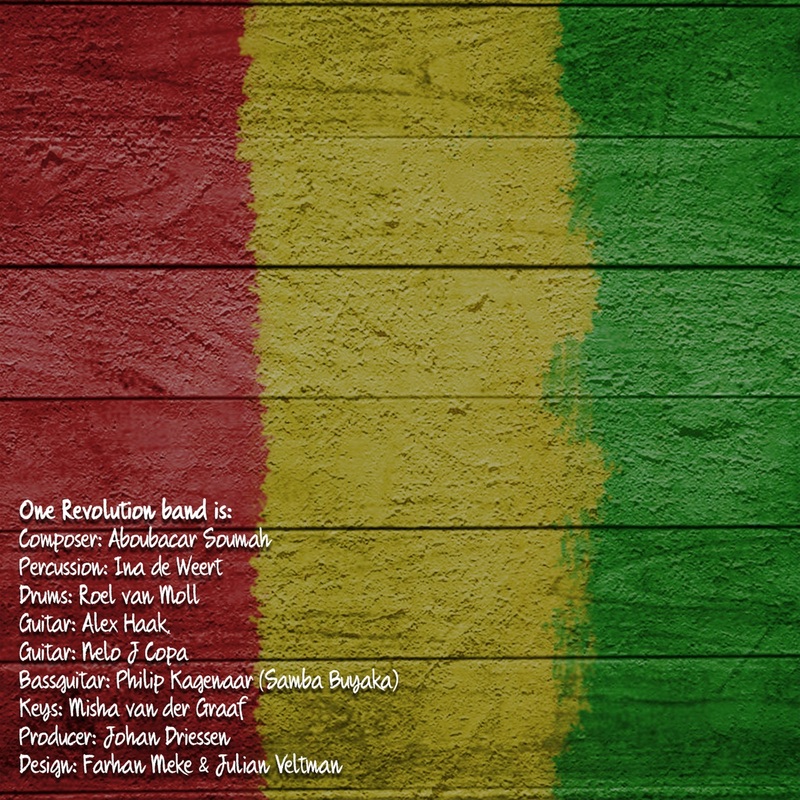 One Revolution Band consists of experienced reggae musicians. 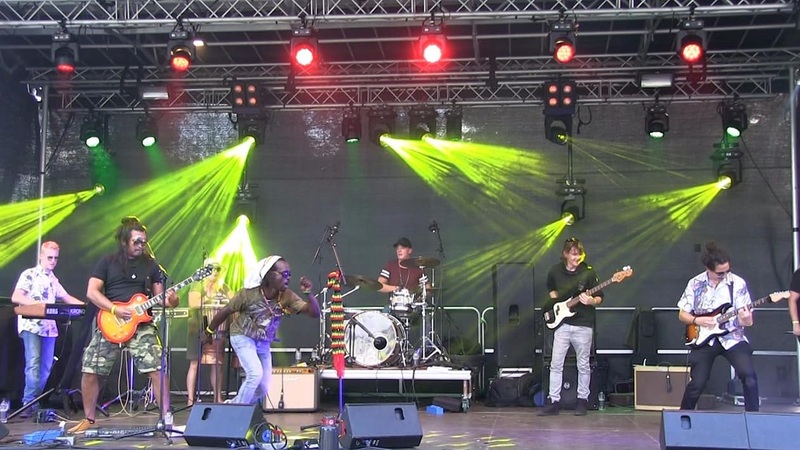 Frontman Aboubacar is from Guinea and has played many festivals in Gambia, Senegal, Bissau and Guinea. 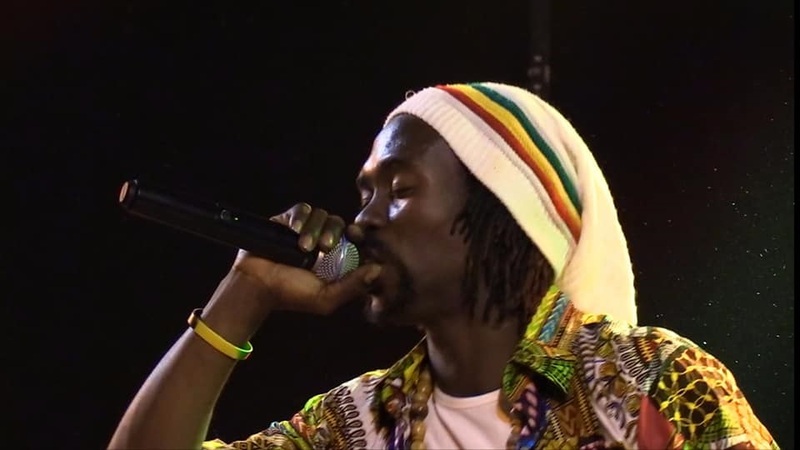 Aboubacar is a talented frontman who touches your heart by singing about unity, humanity, and peace, but also about love and happiness. Besides being an energetic singer who makes the crowd move, he also composes his own songs and writes all the lyrics too. 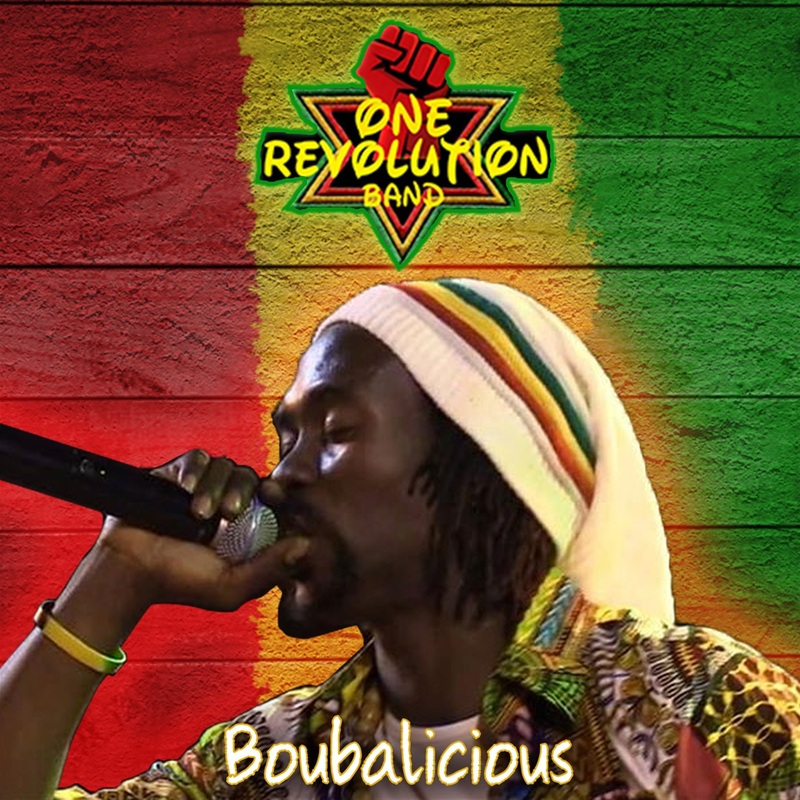 Aboubacar has been interested in music since he was eleven years old and developed his reggae style through the years. 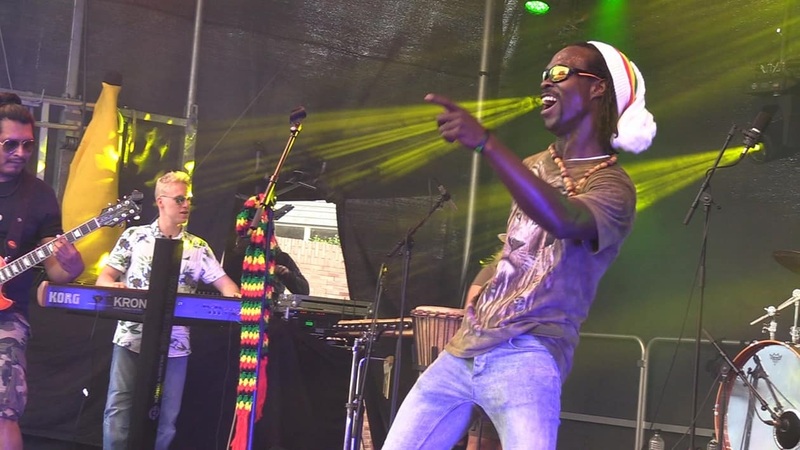 The style of the band is a mix of dancehall and roots reggae with tropical elements from the Caribbean, which reggae lovers will definitely enjoy. 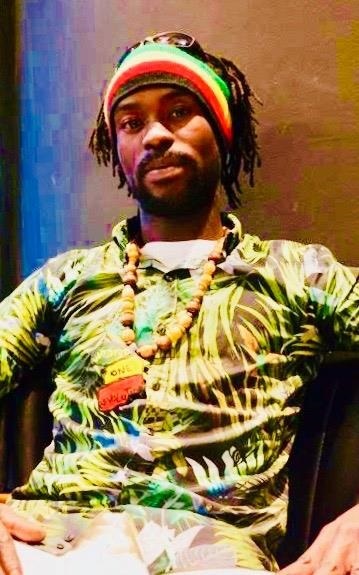 Although influenced by great reggae artists such as Chronixx, Beenie man & Culture, Aboubacar definitely developed his own modern unique style of reggae roots & dancehall. Come over and discover the tracks from this new album, which he will be playing live! 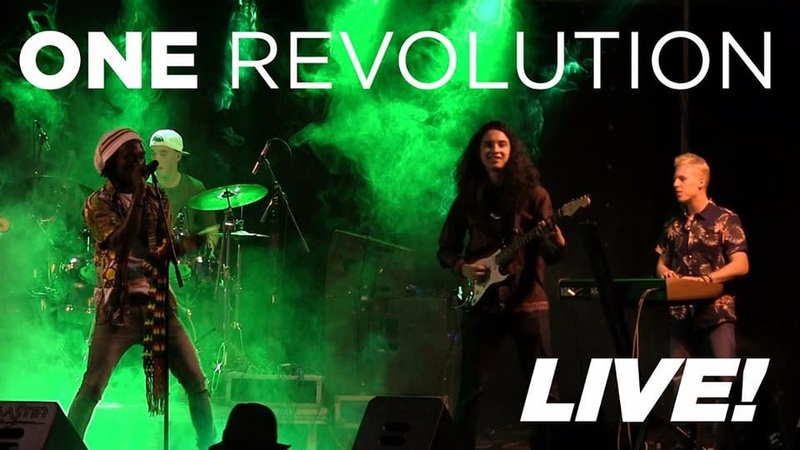 One Revolution Band recently played in London and is about to hit the stage this summer at venues and festivals with has upcoming shows in the Netherlands, Germany, Belgium and Portugal. 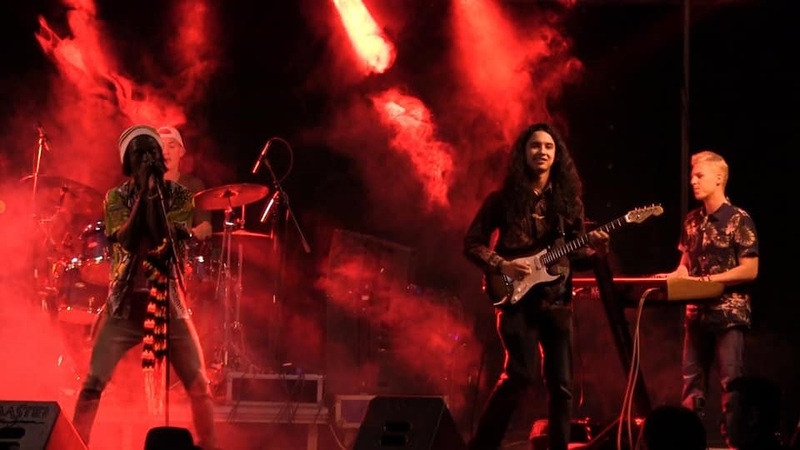 Happy is the new single from One Revolution and is all about happiness in love.